The account presented in the book I have written, which is due to be published in June, shows the significance of a single-minded individual, the power of his ideas as projected via the printed word and his quest for freedom against all odds, prompting the reader to ask a hypothetical question: what would have happened to Eritrea had Woldeab never existed? What is puzzling is the fact that his vision, which was realized half a century later, sadly missed its mark in the end. In the end I began to realize how the EPLF leadership leeched off Woldeab’s reputation and then sidelined him while he was still popular with the Eritrean public. Woldeab had set the world of Eritrean politics in motion in the 1940s and had tried to preserve it when the political factions were at each other’s throats. But he was too honest for the world of Eritrean politics and in his later years was simply discarded and abandoned by the political wayside. It is ironic that Woldeab, towards the end of his life, said the following: ‘Now I have only one message for the people of Eritrea: Never fight an aggressive war. Live at peace with your neighbors’. 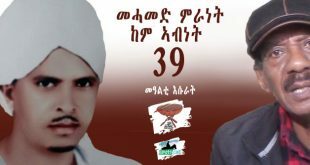 Woldeab died at 11:00 on the morning of 15 May 1995 in Asmara. Many testified that never in the history of the country had such an impressive and important burial ceremony ever take place. However, after Woldeab’s death Eritrea went to war in the Horn of Africa – against Yemen (1995), Ethiopia (1998-2000) and Djibouti (2008). And sadly, against its youth who are made to flee the country in large numbers on a daily basis. I congratulate you on your book about WelWel to come out soon. I look forward to having and reading it. And I’m confident; there will be some new stuff in there, some thought provoking and some ready-made lessons and some debatable stands and accounts. This is because WelWel is no ordinary man and he has shaped Eritrean history one way or the other. There are also some controversial issues about his stands constantly shifting. WelWel was one of the first leadership members of the MaHber Firqri Hager which later morphed into becoming The Unionist Party. Later on he shifted a bit into becoming a conditional unionist, meaning, he advocated for 15 yrs of British protectorate until adequate ground work was done into a union with Ethiopia. He was confidently advocating the Ethiopianness of Eritrea. One recalls that he was working for the British Admin as a print media editor for the British Information Office. He later tried to support the British plan for curving out Tigray and bigger part of Eritrea together out of Ethiopia and leaving out the western part of the Eritrean lowlands for Sudan. At one point, he was focused on overcoming the Shewawian dominance in favor of uplifting the TigrayTigrigni role with in Ethiopia. He then shifted to a purely separatist stand where he was totally opposed to a federation or any kind of union with Ethiopia. He was actively pursuing an independent Eritrea more and more radicalizing his party as well. I like the following quote you put from him of saying something very wise at later time: “Now I have only one message for the people of Eritrea: Never fight an aggressive war. Live at peace with your neighbors.” That is really great of him. We were all intoxicated in 1991. When he said to a public, (not verbatim), “it is good that we have paid so much price in blood, bones and resources for our independence; because, if we had gotten it for free, we wouldn’t have valued it so much.” Then we all cheered him. As I mature up, I was revisiting those words of him and feeling uneasy. Why would a celebrated leader say such things, I would always question the wisdom such statements. But now, those words you quote should comfort me ringing in me that he was changing his attitude of cherishing a sacrifice for results, just in 2-3 years- another note of shift, and a positive one at that. Allow me to take this opportunity to say: ገተብ ስሒበያ ኣለኹ። If you ask me why I give the benefit of doubt to Mahmuday, simple: I have seen him pulling Baburay with his teeth. Nitrics point by the way as i understand it, say SiHibeya alekhu and recheck. Thank you for the invaluable comments on WW. I can sense something out there, questions, comments, appraisals and interpretations of WW’s positions … etc., all prompting me to disclose passages that are included in the book. I would love to delve into such discussions now but they will give away the study I conducted over the years before the book is published. If I divulge some aspects of the questions you are raising now I may end up annoying the publisher. And I am sure you will understand if I plead the fifth, as the Americans say, at this very moment. But I can assure you that you will find all the answers in the book. However, I can say the following. WW embarked on a project that trailed a blaze in Eritrea’s nationalist movement. His contribution influenced many Eritreans to choose self-government (40s), challenge the ill-fated federal agreement with Ethiopia (50s) and rise up against the annexation of Eritrea by Ethiopia (60s), which led to the launching of a fierce and costly armed insurgency that lasted for three decades. Eritrean nationalism meandered through peculiar courses; and Woldeab’s life nearly drowned in it during the tug of war between various groups – Italian settlers, British administrators, the Unionists, Ethiopia and the UN. But somehow he always kept himself – and his ideals – afloat. Woldeab’s problem was that his kind of nationalism grew alongside forces that undermined it by claiming a different type of nationalism – the kind that was propagated by Unionist forces. It makes no sense to discard that as if it is not part of our history. The old campaigner’s life was parcelled out in periods of adventure, intrigue, danger, conflicts, pointlessness and irrationality that nurtured eventual rationality. But one thing remained constant for Woldeab. He loved the Eritrean people and the people loved him back. In the end that is what counts in a life of a man like WW. What transpired after his death is a different story. Allow me to stop here. 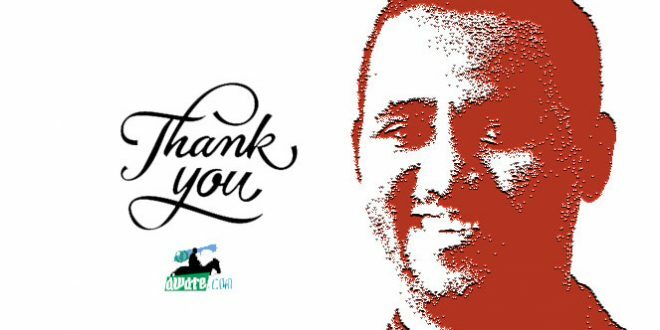 Firstly, Thank you Mesfun Dawit and too look fore ward to your book. Checkout the sound track on Greening Eritrea @26. Would you reel us in. Tuning Hagerey Kunama Nation First. I am confident with your right hook delivery reeling. Thanks. The trump administration will remain in usa history as a collection of rich, incompetent and amateur politicians. The famous ben curson has struck again. From african americans were “immigrants”, he is now to poverty is “a state of mind’, and there is “poverty of spirit”. With the ‘right mindset” you get again rich, even if you lose everything, and with the “wrong mindset” you will remain poor whatever you are being given. Government assistance to poor people is making them comfortable. Soon he will say that it is hereditary that is at fault and not social injustice and the absence of equal opportunities for all, whites and blacks. He fails to understand that his good luck is not the benchmark of the american society. The millions of african americans that were left behind is not always due to their faults, as some white supremacists and their clowns say. Hi Horizon, he is got a point when he said ” poverty is a state of mind ” I agree with that statement. The guy is a nut job but every African should pounder with that take. for instance, have ever questioned why there is poverty in Africa despite the fertile land, the amazing waters and the populations? let me get closer to your home, Ethiopia, every time you hear and read how Ethiopians are hungry and the level of poverty, yet, last time i check to feed yourself, you need water, Ethiopia is the water tower of Africa, you need fertile land, Ethiopia blessed with fertile lands and you need people and Ethiopia is the second most populous country in Africa but Ethiopians go hungry and suffer by brutal poverty; the question why? now, did you see how poverty is a state of mind? sometimes, we need to see the truth even if it is not to our liking. side note, that is exactly PIA is trying to prove. Poverty is the result of injustice and theft, and not a state of mind. Pia is trying to prove nothing. You prove nothing by hiding the misery of your people, by trampling on them and by turning them into refugees. Eritrean refugees that crossover into ethiopia speak of shortage of food and basic items, and of malnourished and stunted children, and you bring dia’s eritrea as an example to be emulated. Africa is not poor in resource and therefore africans are not poor, but they are ruled by feeble minded kleptokrats. Westerners who come to do business in africa come to steal through offshore companies in london, and oversea british islands, etc, tax-evations and different ways of illegal money transfer. Think of the $600m dia has hidden in switzerland and the money from the gold mines that also disappear into the dark belly of offshore companies. With this type of money eritreans could have running water in their homes (they wouldn’t have been told to go where the water is), they wouldn’t have to sit in the dark and think of the days under the derg when they didn’t have power outage, unless it was blown by bombs by those who were going to liberate them, or stand for hours for bread ration. Just imagine what this type of money could have done to those whom​ you call stupid monkeys, unless in your book eritreans are not africans. Do you know why you do not see poverty, hunger and misery in eritrea? The answer is simple, because, you have never been there. Are you the one who wrote here “What went wrong in Eritrea?” in 2011 right in “Global development”–under ..
Selam All, DIA sarcastically requests the UNSC to hand him over the ‘occupied Eritrean territories’ in his speech today. The way he presented his foolish request shows how insignificant the border issue really is to him. He just wants to use the issue for what it is worth-exploiting it to the maximum hiding behind it and executing his heinous crimes against the Eritrean people. May the future bring you peace and tranquility. happy independence day, may 24 2017—26th year of Independence and sovereignty. i am watching the celebration at asmara on the net–through east afro… and there is frequent picture interruption…. would those who have good will and connection to the tell those jamming it this is Eritrean celebration not pfdj and stop their jamming activities. Thank you and Happy Independence day to you too. Hopefully the slow streaming of video will be over once Eritrea invests on better internet connection. Our brothers and sisters would also benefit from access to online educational resources. Yohana, yohana mebel 26 maaltee naxent. The problem was not from video stream… There was jamming….but not that successful. Selam Sara, what is there to jam? I think it has to do with the poor technological infracture in the country. Let alone live online broadcasting, it is even not easy to make a simple phone call to Eritrea. Add to this the fact that tens of thousands if not hundreds of thousands were tuned to the same streaming source, eastafro, to watch the live transmission which is enormous overload. you maybe right about the poor technological infrastructure, but it is ok under the circumstances . the good thing it was replayed late at night was able to see it without the interruption …maybe the jammers got tired and retired early to bed. Selam Sara, “maybe the jammers got tired and retired early to bed.”, may be so, haha. I’ve to say you are second to Abi when it comes to jokes and sarcasm in this forum:) besides agreeing with him about the need of erecting ‘the great wall of mereb milash’:) Aytiseanu. Happy Independence remembrance and reflection day. if they give you all the money,as donation,grants,aid,loan,credit facility, including in kind medicine,equipment instrument and all the planning,of projects,programs… technical support to build your healthcare services…. wouldn’t you say…na… let me be at the top to manage the WHO itself . 2ኣይ ድምጻዊ ጥቕሲ ናይ የውሃንስ ወ.ትካቦ። ከምዚ ን መነን ተፍቅሪ ንግስተይ? ድቃስ ከይሓድርር ንግስተይ, yሃቡኒ ‘ሞ ዶካትር ኣመልሚለ ፥ ዘይዶክተር ኣነ ሓላፍነተይ ኣብዛ ዘለኽዋ መርጽኩ። ማለትይሲ. Dr. Tewodros’ Position will prove very challenging to him personally. Surely has done something right, to be bestowed such honor through the BASE, which as far as I know now, is VOTE. No, I count way too much to ask for the count… Yes, you are right. He studied medicine. I rather him be Doc than I with scrubs. I eagerly await dmtSikhi Sara Haftey! ንግስተይ። ለካ ጓል ባርካ ሳሕል ሰንሒተይ ፨ ሰተስምህር…. iKhi^^^^^^^^ zHalefkumuo ewannat Habbirrrrkumm! Kab tSintSiya tSintSuay Mayyyy tSirayyy.. Night Night! እርሒቦ! and make it readable to those of us still in the neighborhood. Here is America’s statement. The state media won’t mention it (even though it is displaying all congratulatory messages from other nations) because the statement doesn’t congratulate President Isaias but the Eritrean people. On behalf of the government and the people of the United States, congratulations to the people of Eritrea on the 26th anniversary of your nation on May 24th. As the country celebrates, we share the hopes of the Eritrean people for a free, peaceful, and productive future. Happy May 24, despite it didn’t unite the Eritrean people. It is the day we remember the ultimate sacrifice of our heroes and heroines to the birth of our nascent nation. Happy May 24 , You are a man of principle , I truly think that people like you must not give up on the sacrifice you and your colleagues paid . We can only march forward if people like you stay on course sir. Eritrea was made a country because of your sacrifice. I am always proud of your service to your people’s cause, we will never sleep until this monster get ride off from Eritrea and make Eritrea a Democratic state. Thank you for the nice words. Blink let me tell you this: When I join the struggle the only political consciousness I had was “nationalism and unity.” With that in mind, despite I was a member of urban mobilization of the then “hizbawihailetat”, I joined ELF if I could contribute to stop to the bloody civil war which at that time ELF-PF was considered as counter revolutionary by ELF. I was lucky ELF changed its position on ELF-PF in its second congress while I was in a military training. The saddest part is, after brief years the ugly civil war started again. So in short I believe one of my conscious goal was attained that is our independence, and am still fighting to bring the unity of the Eritrean people. I hope our young generation will bring the unity of our people before I leave this world. By the same sense i would like to say to the people of our beloved Eritrea congratulation .I said to you Memher ,becuase of your educational contrebution in this forum.You remaind me my first teacher Memher Tesfai Asmatch Negase who was always tell as stories of two friends ,one of them was sentenced for capital punishment. Before execution of the punishment he asks the judge to give him a chance to see his mother for the last time . The judge asks for warrantor his friend warrants him and he goes and farewell(the story is famous in Eritrea so i will not bore you more ) . The point is that the names of the two friends were Hamed & debesay . They exchange place every time he tells as the story ,in a clear massage to love each other. The wisdom of the young? NdHritt Temelise ንቕድሚት ጠምቱ. Just a personal question, if I may. Mention of military training and the 2nd congress drew my thought to that time. I was also there and went to congress to represent the orientation and guidance team at Ribda training camps. If you meant those training camps ( three of them), we must have seen one another. Am I right or I am just hallucinating? Yes I was referring to that particular time. Yes there were three training camps. I was in Tahir Mohammed military camp. If you were there definetely we have seen each other. If you were in the Futsum G. camp or Ibrahim Abdella camp, I do not think so. I think when you come back from the congress you were assigned to Beirut in the department of information of the foreign office of ELF. I wish I knew you in person to enjoy your personality and your demeanor – such amicable person in the virtual world. Thank you for the information. I was at Futsum with the orientation and guidance team. If you knew members of that team such as the late Giorghis Habte, martyr Woldeab Abraha, Dawit etc. members of the team. I think I stayed over night at you camp on our way to the congress. 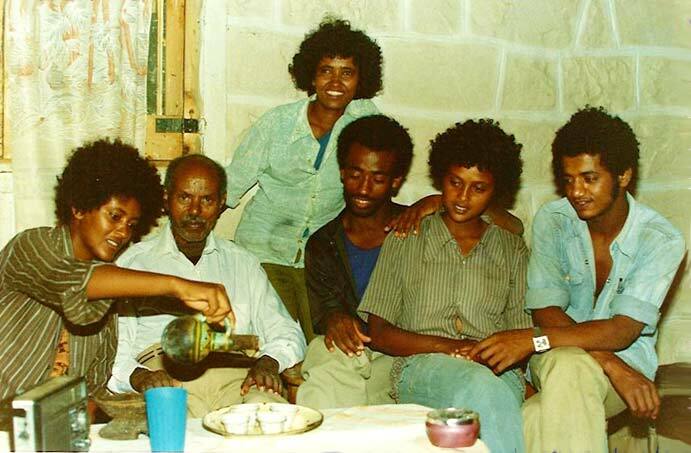 The 1975 was the largest Eritrean elites that joined ELF who played a big role to change the organization in to institutional organization from a scratch – the foundation for democratic institution. The effort and enthusiasm of the new recruits to advance the democratic institutions was commendable. I might sound admiring my generation who joined at that time, but facts are facts whatever it sounds. I really miss those early years of hard working I enjoyed. Let me conclude with what Dr Tesfazion Medhane chatacterized to ELF in 1977 when he toured the organization in the field. After seeing all the institutional development, he quibbled as follows: “ELF is like dull mirror that does not reflect to the outside world.” He was right and sure you will agree with him. You are right; the years 1975-1976 saw the widest participation in the liberation movement of the educated Eritreans. The earth-shaking dramatic events in Ethiopia and their bearings on the Eritreans, especially after the violent liquidation of General Aman by Mingistu Hailemarian’s radical faction in the Derg, the February 1975 military offensive in rural areas that ringed Asmara from the north east and north west as well as the rampant killing squads and piano wire assassinations of youth, had caused mass exodus from both inside Eritrea and other provinces. Thousands joined the ranks of the two fronts of the time and substantially contributed to increase of human resources and capacities. With the political and programmatic ground that was made in place from the congress of 1971 (updated at the 1975 2nd congress) there was fertile ground on which the massive human resources and capacities could work on. The congress resolutions had provided tasks pertaining to mass organizations such as peasants, women, youth students as well as grass roots services programs such health, schooling, animal health and forest resources in the liberated areas. The political training and mobilization department under the political office was an essential nerve center for execution of those operations. Yes the national democratic program was there since 1971, but there weren’t institutions to implement it until 1975. Just take an example the school of cadres, it started by the new recruits as “the orientation and guidance team” at the training camp that elevated to cadres school who are known by the adjective name “deshi carta”. Second take the social affairs, the education department its cariculum committee, who started from scratch to prepare the cariclum and books for formal education in which I was part of it, completely run by the new comers. Third, the agricultural institutions of the economic dept run by the new comers are few examples to mention where we started from scratch. There were were no institutions before 1975. That is why I said ELF was transformed in to institutional organization after 1975. I do not think to disagree with me on this. Am I right? I think I was guilty in failing to explain what I intended to state earlier. Actually, I was trying to expand on what you stated, and underscore that organizational requisites were already in place through the previous congresses for the newly availed human capacities to operate. I meant that there was no need to wait for formulations (resolutions) institution building required. Perhaps the phrase “from scratch” that caught my attention and drew me back to re-tracing what had been achieved through much effort since the abandoning of the zonal administrative scheme in August 1968 (Adobaha) that united the ELA command and control order, and transforming through Awate Meeting of 1970 to 1971 and 1975 congress. It is true that years between 1971 to 1975 not very much was done in executing programmatic resolutions because some organizational snags had hindered implementation had to be sorted out. One of them was the overlapping of the Executive Committee and Revolutionary Council prerogatives after the 1971congress. The latter acted as the executive and the former legislative. I join you on the only words that matter for today. Hoping for a bright future. I join you on happy May 24 and thanks to our fallen heros!! We shall mark the Day as a national wake-up day until our dignity, our freedom, and all our rights fully restored. My point also. Baryagabbrr ile kab ms Abi mQuyaQ mktaEE, perhaps I intentionally took yours out of context. Got it, thank you. well, ምስ Abish ምክታዕ fun እዩ ብፍላይ ክሓርቕ ከሎ ማራ እዩ ዘስሕቐኒ ከምቶም ካሎኦት ደቂ ዓዱ ዓጺቕ ኣይኮነን. If Solomon understand the word “ፊሒስካያ” which means “entangling” then by now he should understand the complain of his readers. I do not understand why he entangle his comment by encrypting it. If messages are not conveyed in a way his readers could understand, then his effort however good it might be, will be in vain. Please forgive me if the following sounds a bit incoherent … I am trying to catch up with my correspondence. Happy 26th independence day – a day of reflection. I have had the chance to read your comments this morning – comments that fascinated me a great deal. Well, you are well within your rights to prejudge the book based on your accumulated knowledge of WW or certain political traditions. I would normally refrain from providing a priori reasoning or assumptions at this stage. Semere, I can see how present observation can collide with past traditions, beliefs, myths, taboo subjects and more. I tend to give precedence to the observation method rather than stick to ways of the past (ways set forth in a manner dictated by our loyalty to our armed struggle). I believe today sheds light on past approaches (yesterday). And of course, vice-versa. Historians, without disregarding traditions, start by studying what the wise people of the past have said and written. However, it is their prerogative, it is their mission to go beyond what is presented to them or what their predecessors ever knew. I guess that is the cycle of knowledge-maintenance, so to speak. We tend to forget the good and the bad sides of yesteryear, preferring to re-imagine our history as a steady march toward greatness. You may not agree but the outcome of our history took a sharp turn when it fell in the hands of PFDJ, unfortunately. Semere, you will get a chance to judge me if I judge WW through the prism of my own stereotypes. Frankly, I did not write the book for those who see our world through my prism; but through the prism of WW himself. If one could follow his story it explains a lot of things, including many aspects of our world. To me, WW’s life, from the moment he came on the scene to the moment he departed in 1995, has been a process of learning. Anyone who can look at the current politics through that prism can arrive at certain conclusions. However, the reader has to be given a chance to live through WW’s life, process the ins and outs of his patriotism, and then assess what has become of us. – An account of someone’s life written by someone else. – A human life in its course. Dawitom: well said. I’m sold. If you take the words I quoted you to heart, and truly represented Wel Wel on your book in every possible way, you will have a book that would be a reference on Wel Wel for the next century or two – to say the least. Good luck with your book. And I promise I will be one of the first ones to buy your book. Hi All, while you all busy kissing the Tigryan Dr. behind; let me take a minute to say happy B-day to my beloved Eritrea. I know you are busy with what ever but today is the day, 26 years ago Eritrea got her independence. No one even can wish happy B-day for the motherland? Before you go out about this WHO; it amazes me how the whites play you. They throw you a bone and you go all out barking. They got your number though. Well all you got is the name, first African, first Black and first this and first that! I am starting to get the picture how the whites bending Africans and starting to understand the inferior mentality of Africans. chill out, they throw you a bone for obvious reason, they know Africans being stupid. Amazing, really amazing. You seem to pretty angry. Remember that anger gets the ugliest in a person. Otherwise a human being is good and decent by creation. From what you wrote in these comments I can see thqt you did not even spare yourself since you are an Eritrean and African. If Africans in your judgement stupid, you too is stupid. If they go out for a bone whites throw, as an African you too would be among them because you won’t die of hunger. I think you are angry about the good Dr. winning a job, and people felt happy because you did not see people express felicitation for independence of Eritrea. But, where is the link between an individual getting an important job and a country observing its independence day?. Greetings Ismail, come-on, you know better. why should I get angry? What is a big deal an incredibly corrupted organization is about to be led by incredibly corrupted person? my point is all the so called Eritreans were jumping up down in congratulating the corrupted Ethiopian while ignoring Eritrea and the people of Eritrea, that is the link. It is amazing. This is what IT looks like. Let me tell you what IT is. I think I can summarize your behavior with one word. I believe you speak or understand Amharic. Your total loss of control and explosion is due to your trait of …MEQEGhNET. There is no other plausible explanation. Hi Abi, you are the last person to talk about this subject. I suggest, you go to aiga and congratulate your masters. Hi KIM, again what you showing is your usual African mentality. your guy won due his experience in corruption, why are you so proud? Trust me, I am starting to understand. You could still not conceal or cool you anger. I do not think it is decent to strip fellow compatriots of, or doubt, their identity by referring to them as “so called Eritreans”. Your rating and describing an organization or an individual could be taken as your personal opinions. But, calling us as Africans stupid or persons who go out for bones thrown by whites or anyone else is offensive and dishonoring. Hi ISmail, did you congratulated Eritrea on her independence day? I rest my case! there is anger in here; I am just telling you the truth. whenever the whites throw a bone to the Africans, the Africans go banana, why? what is so big deal if the corrupted Tigryan is elected to lead the most corrupted organization known to the planet. I bet you he was elected due to his highly experience in corruption. Yep, experience is everything. Convenational folk wisdom of our people says “kab guyiy mewal, kisad mHaz”. My comments were related to your flagrant description of the populations of a continent as stupid which also include you and me. I did not have problem with your opinion about the good Dr. or WHO. So, the normal thing for one to do is consult one’s conscience and re-consider an expressed opinion. As you question about congratulating Eritrea or not, we Eritreans receive felicitations rather than indulging in undue self-congratulations. For us, it is an occasion for meditation and revisiting our past journey to ponder on why and how we came where we are today. Good Providence knows how many youth have left Eritrea today, how many became unlucky to be shot and died on the borders, how many are fated to perish in inclement deserts and high sea waves. Hey Ismail, it is their right for anyone not to wish happy B-day for Eritrea but for me, it is about self respect and respecting who you are. Good or bad, it is my country and my people. And I am within my right to call out everyone who disrespects my country and my people. one more note, calling some stupid and saying ” they throw you a bone for obvious reason, they know Africans being stupid.” very different, so your take on my words are a little misleading. opportunity to realize his potential and backed him when it was clear he could lead bigger organizations. We are Eritreans 24 hours a day and it doesn’t mean we commit treason if we take two minutes to recognize the success of another nationality. I for one spend the day calling the many tegadelti who are back home and in exile to tell them I remember their sacrifice. ዕለተ መጋቢት ሃያ አራት አቡነ አረጋዊ ቀን:: we can celebrate this Day Independently or Together. If you have coffee already ground (no grinding of coffee on a holiday! ), definitely! We will celebrate it Interdependently, it is a higher level of consciousness. Abune Aregawi yTebqih:: Here is Qursi Bun: an Elderly mother visiting the USA noticed that kids were hanging only one stocking (not a pair) during Christmas season and asked whether Santa was like Abune Aregawi. True story. Amne Aregawi! Can I join, just for the Qursi Bun? It is exquisite. Seriously you should consider writing the second volume of kenewag’Akumdo. Hi Abrehet; I don’t why is everyone going hyper. I was talking about why no one wished happy B-day to Eritrea but everybody is congratulating for a single person naming to lead the most corrupted organization. That is all I was saying. Teddy is not different, he is corrupted, he covered not one . not two but “three cholera epidemics” in Ethiopia against his own people, good luck with such person leading WHO. trust me they found the right guy to run it. Still I couldn’t figure it out why this is a big deal? “WHO’S HOUSE? ?” OUR HOUSE! Hola Dude! Utilize these 2 words: Proxy and ChopITup in English if you like!!! It’s yours to continue the New Narrative Imperative… Friction and warmth is better when one is not monotone! What dude? Its Nothing but a G Thing Baby!!! ዮ know how to whistle RIGHT! Don’t heat it up! Ayana is simply telling you what be Kooool Like a G! Engine is bound to be as stale as a non moving object. Mannn the choir heard you! Now you show some. Give a lot to receive a little! Here let me bow to Wedi Tikabo’s homage to ሳንሱ of Art. An Interview recently he aired. ካፒታኖ? How do you say tegill HatSinn in any of Ethiopia’s ሉቛት? your greatness; I am good; I just couldn’t believe it no one wishing or happy about the independence day of Eritrea but everyone is giddy about a toothless being elected in worthless WHO. I agree he is well qualified for the job, where are they going to find well experienced in corruption lead the most corrupted organization. Trust me, he is well qualified. all I am saying is why not show a little regard for the nation before everyone going banana over the appointment of one person? We can do both, we can celebrate Eritrea’s independence and an African man heading the WHO. I have no doubt that you love Eritrea, let’s make Eritrea better together. Your greatness; if this nomination of the Ethiopian to happen yesterday or tomorrow; I wouldn’t give the flying hoot but it happen on the day of Eritrean B-day and NO, NOone mentions the nation but everyone congratulating a nomination of one person. to me that is disturbing. If this was about Ethiopia, every Eritrean will congra them but let alone any toothless Ethiopian to wish happy B-day for Eritrea but the Eritreans themselves are bending to kids up to this worthless nomination. I understand, most of the Eritreans are what they are but to go this far is disrespecting one-self. Eritrean independence is today May 24. His nomination was yesterday May 23rd. One has nothing to do with the other, just letting you know you got the date all wrong. Unless you are in Eritrea visiting and celebrating independence which happened 8 hours before most people time zone. You are always on time Brother! Sorry for the belated reply. My source says Eritrean voted for Dr.Tedros Adhanom, and it is commendable. And I would vote for him if I had the opportunity to do so. This is not only diplomatic, i.e., staying with the African family you call ” monkeys” (common nitrikay the great, just because the monkeys made Eritrea their playground, it doesn’t mean Africa is done). There are good Africans like your best friends SAAy, and Hayat…who want to make Africa better. 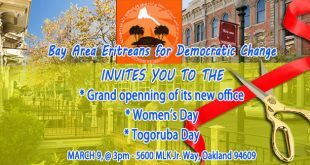 The election of Dr.Adhanom us good for Eritrea. Even if you think of him as a TPLF operative, since he is well versed in tropical diseases the policy he charts out will have a spill-over benefits for countries like Eritrea. Think big. Regarding the independence, I think I congratulated before anyone (read my reply to SAAY). Plus, the everyday defense we put up here against the bashing of Eritrea and its history is more important than showing your gleaming expressions on May 24. We the veterans, from all political stripes, EPLF, ELF and PFDJ met today and celebrated it emphasizing what needs to be done. We concluded that the Asmara shows and parades were part of state sponsored propaganda. We consider May 24 as the birthday of Eritrea. We recognize that much is needed to make this date complete. Even the diehard PFDJ didnot conceal the fact that the nation needs a change of course. Eritreans and Eritrea are beautiful. There is only one black spot on their image, and that is Issayas Afeweki. Eritrea is where it is today by choices and decisions that one man had made. It is a day of celebration for its birthday and a day of strong conviction that Eritrea has been robbed a great deal of opportunity. You are right, happy Independence Day everyone. It is a bittersweet day more of sweet than bitter because the regime that makes it bitter shall pass. On another note I wish you address the good doctor and recognize his historical achievement that’s meaningful to the continent specially to Tigrinya speaking people on both side of the border and Ethiopia. As much as you try to take away from his achievements it only shows your small man syndrome. No other way to explain it. HI Aron, I could careless about your follow Tigryan and I don’t give flying hoot about him. Obviously you are too little in achievement scale to consider this as “impossible” achievement. talk about a little man syndrome. check that one right within yourself. He was elected simply for his experience in corruption. Experience matters. Take that home. It’s really sad you feel that way. I think it would be best if you can keep quite if you have nothing good to say. May be you should read some of his accomplishment before you make a wild allegation. If I am not mistaken, back during the Derg time he discovered something that would treat malaria or something. It was covered in TV, if I recall. I am exactly sure if that was him, but I always thought it was him. As per wikipedia some of this achievement. Yes indeed he is the one who introduce mobile clinics in Ethiopia that saved many lives. And yes he was an international recognized malaria researcher. The Fellow’s name Mr. Yowhanns. He introduce Libraries, i.e Books, also Mobile. A published Auhor as well. A Nigerian Student, Jambo Africa! proudly years later told me. Ibie-IBIE! ArHibo. If I have to contradict my own take of earlier today, I would say, in politics more often than not, what matters most is loyalty. Tedros’ journey into the big office probably started when Meles made him the only non-Tegadalay politburo member of TPLF. Of course, while the reason for that was only known to Meles, one would be compelled to assume that, it could as well be loyalty. How could one be given a foreign ministry portfolio when one doesn’t have an iota of experience in diplomacy? Again the answer could be, what matters is not a level of competence but loyalty. Loyalty to the Weyanes led him to the big office. Of course, I am not denying him all his hard work in making a difference in the lives of millions Ethiopians but he happened to be at the right time and perhaps the right person for an important job. Substituting Meles with xxxxxxx, could the same argument be made to conclude, as to why he is where he is today? I honestly didn’t think he would win the nomination. 2) I don’t think he has enough international experience heading such a monester orgsnization. People like Michael Bloomberg, will be reporting to him. First of all, you don’t have tear somebody up to appreciate and celebrate Eritrean independence. You don’t have to take away from other’s gains. All this Tigrayan this Tigrayan that, calling the entire continent stupid and belittling achievers and achievements shows you have serious identity complex. I know for sure you don’t love Eritrea. At every turn you insult her would be friends. Another thing, I challenge you, let’s put up our identity picture and all for everyone to see. I am tired of you hgedefites calling everyone who doesn’t think the same way you do. Low feeling, good for nothing teweljes are messing up both Eritrea and Tigray with wars and what have you trying to prove Eritreanness more than Eritrean. HI Aron, how do you think I knew you were Tigryan? you see, you guys have a very distinctive allele which helps me to identify you a mile away lol. Now, I have no putdown anyone; all I ask was why there wasn’t any Eritrean to wish happy independence day to my beloved country while every one is bowing to one person’s so called “impossible achievement” what amazes me most is that how you people’s expectation is so minimal it is depressing. Besides, I didn’t dispute that he was highly qualified for that job, you know. Again I could have posted my photo to prove that I am Eritrean but the moda will delete it. ask permission and I will post it for you lol. You are wiggling, you said he is elected simply because he is corrupt. No one said he achieved the impossible. We congratulated him for his great accomplishments. You took away from him. His achievements are complimentary to Eritrea unless you hate everything like Gheteb that is achieved by Tigrinya speaking habesha. The other thing is you did not even know when Independence Day was. Now you say you are African American slave. What an ID crisis. Talk to a shrink before you even have multiple personalities crisis. In any case may you have great Independence Day. When are you going to visit your “beloved ” Eritrea? “they know Africans being stupid” really ? A) do you consider yourself as part of those “stupid Africans” ? B) if yes to A, do you think you are stupid because you are African ? or you are African because you are stupid ? maybe you are applying Aristotelian syllogism in here. Hey Haile, I am African American and there is a different: I am the slave one. I will take slave than the alternative. you know what I mean hahahahahha. Tedros is an Eritrean in every sense of the word. He was born and brought up in Eritrea. He went to school in Eritrea. You would never think that he is a Tigrean for his Tigrinya is of a typical Asmarino. Here is the deal though, as much as Isaias is an Asmarino of a Tigrean descent so is Tedros but again fundamentally they are both Eritreans. However what is important is the fact that Isaias as a leader failed to capitalize on Tedros and lost him for good. Tedros and his family felt unwelcome in Isaias’ Eritrea when Isaias declared war on Ethiopia where Eritreans of Ethiopian origin left the country in droves in search of a better life elsewhere. Tedros might have left Eritrea for schooling in the early 90s but if Isaias had capitalized on people and laid out incentives for young Eritreans, Tedros would have returned back to the country where he was born and brought up and payed back his due to the society. Instead Isaias the menace and good for nothing absolutely useless drove all the brightest out and bankrupted Eritrea beyond repair. Smart leaders invest in people for the reward is testament for the world to see. Greetings my Beloved P: what up? And you are right the man was born in Asmara and legally he can be an Eritrean simply due to his birth place. You are right he attended Asmara University then he went to The University of London to get immunology of infectious diseases and finally he did his Ph-D at University of Nottingham in community health. so, I can why he got the gig but I failed to see all the commotion. Although, it is good that someone like him is at that position could have effective results comparing the usual fat white man who has no idea about poverty and health issues of the 3rd world country. so, it is good he is there but I don’t understand all drama. I think we should aim higher and expect more out of our self and our Africans. Less talking more doing should be the motto for all Africans. As always, you have nothing to offer here. I am sure if Yemane Gebreab or your god Issayas was getting the UN WHO director position, you would be jumping like monkeys do, up and down with excitement. In your above comment you stated, “so, I can why he got the gig but I failed to see all the commotion. Although, it is good that someone like him is at that position could have effective results comparing the usual fat white man who has no idea about poverty and health issues of the 3rd world country. so, it is good he is there but I don’t understand all drama.”. And you continued with your garbage, “I think we should aim higher and expect more out of our self and our Africans”. What are you expecting us to grasp from these nonsense and very contradicting comment of yours from above? My point is this could’ve been an Eritrean story and more. Do you know how many Eritrean Ph.Ds I personally know who are insanely bright who could’ve made Eritrea the shining star on the hill in Sciences and Engeenering? And the sad thing is they all have a burning love for their country where they remain in their respective host countries instead as the latter capitalize on their priceless potential to the fullest. 26 years and counting, Isaias got nothing to show for but a bankrupted nation. I agree with you. And the absolute and obsolete Gedli-based meritocracy and monopoly of all aspects of the country’s administration has largely contributed to where the country is now. The leadership doesn’t want the “spoiled” PhDs that were not part of it, not even those that evolved within it. It want to produce a product of its own modeled in its own mold. But no one is staying because there is a fundamental flaw in that mold or vision. We are not re-inventing the wheel. The other day I was reading IA’s interview with Sagem of some decades ago. The tone and language he used replying to a question coming from Tegadeltis and Hafash-wudubats about Eritreans that didn’t participate in the Gedli was premonitory to what came to happen after independence. I don’t pretend to be a psychologist of some sort but I suspect Isaias’ aversion to anything of an intellect or intellectual in a person has a life of its own when he dropped out in his younger years in an academic journey. More over, he might had been influenced by the infamous “Cultural Revolution” when he was sent to China in the 60s. Dan Connell in one of his books walks the reader through Isaias’ anti-intellectual mind set when he campaigned against the “elite” segment of Gedli and mobilized Tegadelties of a peasant “stock” to remain vigilant again against allegedly power hungry educated class. The campaign did not let up including after independence either where he surrounded himself with uncritical self serving stooges when he finished getting rid off real and presumed internal threats. There are ailments where all of us are doctors. IA sneezed too many times on the subject that you don’t need to be an allergologist to diagnose his hypersensitivity. 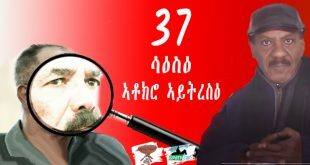 Who would forget 1996?……ውራይ ትምህርትኻ ድኣ ግበር…. or sort of. I also join all of you in I congratulate Dr. Tedros — as a malaria expert. He is excellent choice. In Ethiopia He is best known for having drastically cut deaths from malaria, AIDS, tuberculosis and neonatal problems when The world would be safer and healthier in electing Dr. Tedros as a director general of W.H.O the first African ever to head the agency . many developing countries particularly Africa report cholera to the WHO as acute watery diarrhea, under Dr Tedros Adhanom Ghebreyesus Ethiopia has. reporting and response without laboratory confirmation. Tedros Adhanom Ghebreyesus, a former health minister of Ethiopia, is highly qualified to become director general of the W.H.O. Multiple independent evaluations have confirmed that under Dr. Tedros’s leadership, Ethiopia is one of the few countries in Africa to have rapidly reduced infant mortality and achieved the Millennium Development Goal in this area. Cholera can be a devastating disease, but rapid action saves lives and stops outbreaks. Dr. Tedros created a network of nearly tens of thousands across Ethiopia female community health workers who were trained, supported and supervised to implement programs, including oral rehydration therapy, that prevent death from diarrhea and other causes. He improved the national laboratory, organized an ambulance system and oversaw a tenfold increase in medical school graduates. I will join Aron and others to congratulate Dr Tedros Adhanom for winning the competition to be the head of WHO. The African people in general and the Ethiopian people in particular should be proud of him. Regardless what the issayasists think of Dr. Tedros, he is one of us. We, the Eritreans, always wish our neighbors to succeed. After all, this is thinking out of the box as they say act locally think globally. We are not like those narrow minded once. When our neighbors celebrate we will share their celebration because it is together of us we can advance. As you put it, a success for Ethiopia a success to Eritrea and the entire Africa. If he visits Eritrea, he will be the highest official in recent history to officially visit the former province. Imagine sitting next to IA and get a 3 hrs lecture about the useless dam. thanks for coming clean, although we knew long time ago. You are too gutless to take a stand, coward. Wonderful news. By the way you get bragging rights as he went to high school in Qehas. I also want to congratulate him on his success. I hope he uses his position to good use in serving the world, Africa. He also graduate of AU, and I hope, Abi will be greatful that we returned the favour in small as he always remind us, the schooling Eritreans got from Ethiopia. Hope Abi will join us in this celebration..of remarkable victory.. 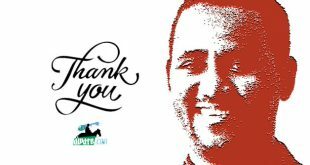 It sure is a milestone for Ethiopia and of course for Africa as well where those who rooted for him should of course congratulate him and those who opposed him should at least wish him all the best of luck. That is what a decent human being does. Tedros is what we call Tigmarinos as in Eritreans or Asmarinos of a Tigrean descent. I met him a couple of times way back when he was student at University of Asmara or Asmara University. I knew him through a relative of mine who was attending Asmara University back then. To be honest, there was nothing striking about him except that I thought he was a half-cast but of course Meles (bless his soul) must have seen in him a potential to bring him to the fold and later to appoint him to a ministerial position. I would like to congratulate him and his family and I am sure he will do a great job. Indeed, it is a good testimony that you didn’t see anything striking about him. It confirms that he was able to realize his potential when given the opportunity . I remember an Italian American won the Nobel Prize for Medicine in the late 90s. When a journalist asked him, doesn’t he wish he stayed in Italy where he had obtained his qualifications so that the Nobel Prize could have been given to an Italian citizen and not to an American citizen, the doctor responded: “Even Michael Angelo had to be given a blank piece of wall to paint his masterpiece.” The point being, you provide an opportunity for people to realize their own potential and the sky is the limit. For the most part those who didn’t support him in the international arena were supporting other candidates, therefore it was not personal towards him. The grueling vetting process he went through takes a lot of guts. Those who criticized him based on mistakes he made are doing him a favor as this could only get him better. For the others, haters are gonna hate. I just read the news! Thanks for your post. Dr. Tedros Adhanom is the new head of WHO. That is the WORLD HEALTH ORGANIZATION. I feel pride in the fact that the world picked an Ethiopian Doctor for the top job at WHO. I think it goes even beyond him as an individual. His exhibited leadership abilities in the Ethiopian Government as a Health Minister and then Foreign Minister show cased him to the world to garner so much support. Congratulations to Dr. Tedros Adhanom! Congratulations to the Ethiopian leadership for making it possible. Keep it up. Congratulations to dr. Tedros Adhanom, Ethiopia and Africa. I am proud of him. Dan- dan tsbah iya Ramadan…. are you ready, i see you busy up voting. Is it just an incident that it is Tigrayans who shaped and are shaping the history of Eritrea. Welwel and Isaias are towering figures who hail from Tigray, Ethiopia. The same goes to late Meles , an Eritrean who shaped and is shaping the Hisotry.MZ is towering figure whose mother halil from Adi Quala…Eritrea. Thanks and waiting to read your Eritrean history book. At this time many Eritreans are writing books about our history and I am feeling great about this. Thank you for the comments. 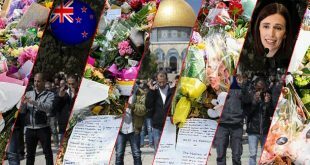 I recognize some names of fellow Londoners which is heart-warming. I do also appreciate the comments posted by Abraham H, A Hidrat, Semere, Sara, Ismail and Idris. I am out of London to attend a conference as we speak. I will try my best to interact with you upon my return. I may need to refrain from divulging some information while answering questions because I might end up spoiling the story beforehand. Anyway, it is gratifying to immerse yourself, no matter how tough, in a bygone era and bringing a story to life. During writing perhaps it is of great peril to go through anachronistic judgments. The pleasure of writing the biographical account is to do with the fact that I lived through the 40s, 50s and other eras as I walked alongside WW without having to leave my chair. Selam Dawit Mesfin, I salute you on your successful research and effort to come up with a biography of one of our patriotic fathers who made enormous contribution in shaping our national identity as well as in furthering our aspirations towards the success of self-determination. It is particularly delighting to see Eritreans’ history being written and documented by Eritreans themselves in order to be studied by current generations and passed on to our future generations. Thank you for this short remark about your upcoming book on one of our icons welwel. I am looking enthusiastically to read your book. Thanks Dawit and congratulations. I cannot wait to read the book. I saw the great man for the first (and last time) during the independence celebrations of 1993. Asmara was then in a frenzy of festivity following the referendum and official declaration of independence. Tents were erected in almost every corner of the town and people were celebrating in a ‘negdet’ style. I happened to live in the Cinema Roma area then and our ‘nigdet’ was organised in a nearby hall, locally called ‘Enda Mahomoud’ for the place was used as a bingo place hosted by a certain Mr. Mahmoud. My friends and I couldn’t believe our luck when we were assigned by the ushers to a ‘meadi’ two rows from where Mr Wel-Wel was sitting. We were told that Wel-Wel had decided to be with the people rather than at some lavish banquet organised for dignitaries. Leaving the hall, I remember us kissing the right hand of the man before disappearing into the maze of dancing people. What was Wel Wel’s intended ‘bumper sticker’ objective? If Wel Wel’s “VISION IS REALIZED half a century later” then why did it “SADLY MISSED ITS MARK”? 2. – “Eritreans have come to the realization that the revolution failed to deliver the promises made by Woldeab and his comrades. Sadly, Woldeab’s dream emerged broken and emaciated after all is said and done. What promises (made by Wel Wel and his comrades) did the Eritrean ERITREAN REVOLUTION FAILED to deliver? What exactly are the “sadly broken and emaciated dreams of Wel Wel that emerged after all is said and done”? If this is the precursor of the content of your book, I don’t think the book is all about Wel Wel . 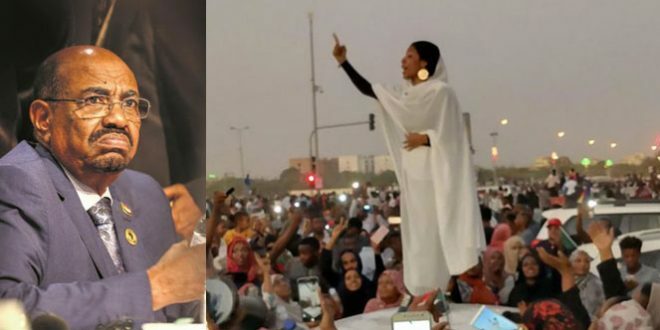 I believe it is all about demonizing the PFDJ regime to gain political mileage – the Eritrean revolution being a collateral damage in the fight against the PFDJ regime. Good luck on your book and book tour though! they say america is good in marketing , and to market your material you have to bring something tempting to every one of your supposed clients , i think this is what the article is meant to do with the wider public waiting to read about aboy weldaab , specially after the recent skirmishes of what he said of our lowlanders according to some one who is for some reason well tolerated by the forum. Well sara: the reason why the “some one who was for some reason well tolerated by the forum” was because the true Eritreans were dancing celebrating independence day. You know we don’t celebrate here Awate independence day because Eritrea is not independent. That’s why the المخبرين and عملاء of Jeranina where having a field day doing what they do best. E. – Never had access to the available vital documents that help describe Wel Wel…. From a book written under such circumstance, how informative could the book be, and how much mouthwatering hype and how much marketing publicity could you have to promote the book – unless the book is written to shock the world by destroying the reputation of the man – which it is not. Thanks for the input, I also have another question to you since your live in the west. When you right biography of a person at that prominent…. Do you need authorization by law, or some kind of approval or not nessesary. I live near abroad to our home and not familiar with so many matters of the west that I only learn from the media. No. You don’t necessarily have to have authorization or approval from anyone (Dawit or no Dawit). All you’ve to do is get your facts straight. What if someone sues you? If someone sues you, you’ve documents and human sources to prove your claim. The problem with Dawit Mesfin is, he doesn’t have (was never in a position to have) enough material documents and human sources to back-up his claims (whatever claims he may have). Wel Wel was in the public spotlight for about six decades. There are many human and material sources available that describe who the real Wel Wel is – newspapers, radio speeches, one to one interviews, minutes from meetings, friends and comrades testimony, accounts from family members and relatives, foreign media journalists, diplomats and politicians account……. And to make maters worse, Wel Wel is believe to have changed political positions few times over the span of his life. 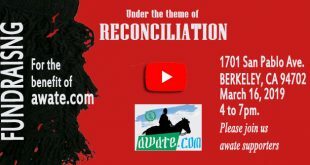 The challenge to Dawit Mesfin and others who want to write about Wel Wel is, how to write a balanced biography that describes the Eritrean icon in a real way. If Dawit Mesfin write’s something inaccurate, him and his book will be discredited and vilified – supported by authentic documents and sources. That is the problem Dawit will face – not not acquiring permission from family members. Aren’t you jumping the gun. Patience is virtue as Aristotle says. I think the point of full access in general terms is a very valid point. You should be fair and try to put yourself in his shoes. In my opinion you could have chosen to address your concern in two ways. 1) you could have wait to read the book and write a critic based on your reading and observation, to the point of redicling him if you must. 2) all the access issue you raised, before making assumptions, you could have asked in question format. For all we know, I think the picture he posted have something to do with it, Dawit may have inherited the access of the entire library of Welwel (he died in 1995) and access was relatively easy at that time. And people like welwel know how to keep records. If anything you should see it as a starting point, no book will be complete by single person and if there is missing pieces, this book may be used as a base for others to build on. As long as he tried all that he can, and did not take short cuts, he should be praised for his efforts and hard work. Dawit weldone. Looking forward to read the book. 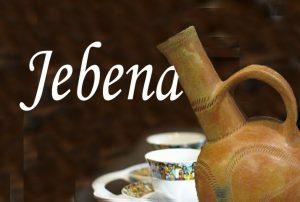 i do not see any one here being judgmental or criticizing a book, in fact any writer should be applauded for authoring a book about eritrean icons like aboy weldeab and others, what i and others comment i believe is based on the article written by the author. I was responding to Semere T.
No there is nothing wrong in commenting. I nor can any other possibly a do better job in summarizing succinctly your defensive charge at the front with your emphatic stand with the commanding voice that captured your fellow contemporaries genuin and first hand experiences of Eritrean History they lived through. “In plugged you took on every challenges with wide range of tones with rage from half a dozen personalities from our Ethiopian Brethren in the this forum. With batting an eye or compromising you principle, you repelled each and every forcing the next wave offensive with their rather hastily reloaded barrels as they all emptied and scraped the bottom of the barrel of their ammunition stock. You have very much helped our Ethiopian Brothers and Sisters realize that their attitudes of disregard and taking for granted, the majority of Eritreans resolute stand for their people’s history and dignity is clearly way off. Inspire of the exodus and Eritreans taking refuge in Ethiopian lands, though grateful for the hospitality, the parallel strategic narrative and bravado of Eritreans capitulating their Dignity was in fact for naught or significant gains in attaining Ethiopian Elite’s ajendas of their end goal. This is not to undermine the validity of our Ethiopian Brethrens perspective and views of Eriitean and Ethiopian Histories. As well as their envisioned One State missed opportunity in the past and or their desires of near/far future reunification could very well be the greater good or mutually beneficial end. Now that this epic show down has made clear what the vengeful motives always looking backward to history as the rational and basis for moving forward, if it can be called that, the Irrationality of sinister narratives is all but a recipe for the cyclic wars in the region never to achieve lasting peace…. I am banking… My point, I believe, the BY Vs. Abi and his platoon opens the FUTURE OR FORWARD SOLUTIONS DIALOGUES with MUTUAL RESPECT DIALOGUE FOR BOTH NATIONS TO PRICEED. Let me end for now by saying YOU HAVE JUST UNLEASHED A TRESURE TROVE FOR THE ERITREAN Youth… Yes, if I may use a sports metaphors, yours Atto Berhe Yeman was an MVP performance that gas sent The Golden State Warriors into the NBA Finals READY for the Third Match up against His Majesty The King James and Team. Yes, it is “Hooligan of Soccer like” but Trust..my bias is the digit 2! That’s right DunNation! And Yes Cleveland Rocks as does Ethiopia! I am commenting just to suggest to you, take it easy and pay no mind to Mr. Semere Tesfay’s peaking his head into open air after the coast was cleared for him by youvSir. Yes wait for that narrative. 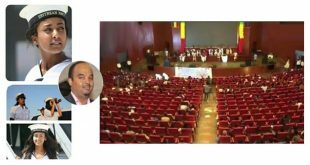 All Eri Youth are now empowered with ample and increasing Amo for their imminent and deciding Unified Eritrean Stand on “17! The Narrative Imperative is nearing the end of compilation and completion. Abu Ashera Weapon X Evolution. Can you Feel IT! Yes! Believe IT! Eila BerEid Front is broken and Godief/Sembel and Eira Eiro Command is negotiating a truth! 24 hrs. announcement on the 24th! High 5 for those awakened YPFDJ GitSAtSE. 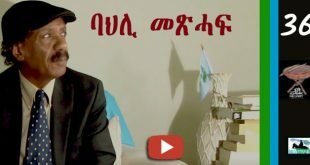 Kab tSintSia tSintSuay tSrayy tSinn Ilka same DemtSi ykallo MeriHinet PFDJ Tarikhawi gidietaou bdmtSu an tSinble afdege Hadnetn Eritrawyan keriHu!!! MeftiHi nkulu Merehi. Saay7, the Melinian Key Maker requests your Powerful Right Hook swing ROGHT ABOUT NOW! Yes Captain its 23; Prime Number and Prime Time! Be like Mike, NC Tarheel, Just Do It!…Virtual Reality Gerymeandering, yes REJECTED BY THE STATES SUPPREME COURT. 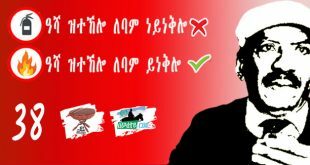 Your Y PFDJ can use a little nudge of your Part 2! Yes, Captain the Key Maker has the Do it yourself right KIT readied. August Rush CP Philharmonic! That’s Amore! Sher beautiful at 71 being Sher! “Forget about it!! !” 2, 2^4…Asmra Asmeret . With all the praise I am really getting so hot I need to call in the fire department “as the asmarino use to joke”. You and I go a long time and I can say we started really on the wrong side and I can say we came a long way. I just want to say thank you and will try to remember this, even at times when dealing with people that I completely disagree with. For the most part I usually end up supporting the under dog team, I just like to see how the great players take on failure with grace. Somehow I feel, it’s better for the sport and the human psych. I have some exception when it comes to Brazil and when home town Toronto is playing. Even though I really like MJ, in the 80s, I wanted his opponents to defeat him, Drexler, Partic Euwing, and any other team he beat along the way. For some reason I never really liked King James, I don’t feel that he is in the same league. Specially when he went to Maimi and shop around all the talent to win championship and the way he announced it, I still do not got over it. I like GS and Steven Curry. The fact that he lived in Toronto during his teen and played in high school, and he is married to Canadian women from TO, he has that Canadian touch, humility, down to earth, and having fun. When I read saay, I sometimes think he got all that from his Canadian roots:). If you don’t mind me suggesting, I don’t know if you are single you should consider importing a nice Canadian Eritrean gal…you just have to put up, when she tells you all best things in the world is Canadian :). It’s that live and let live mentality I think that I admire the most. With my lazy Azzzz and lethargy, marry again. No no no Sir. Iza selamey ksaneteyy dear ktzerweley. Aasette zreistenn merUtey dreseteyy abza AAngierebey tegozgizen tSibuq iyennn zemamuQanu. Thank you for tSibuQ tmnitka. Girzo Haftijha MenYDefra meizzezti an Adi Quala enteHibkani idda gnn, rogode, AAtsmi zmdinana yterrr. If you ask me, I have never really enjoyed the Guaylas or Club Seen despite NYC… Live Band music with $5 minimum drink after locating a sound with decibles to allow thoughts of joyous creativity suited my dread locks and grungy thrift shop wear just right. Those suburbaians, Saah7 like cats, when they drove shiney rentals to Harlem and dragged me to Tunnel, lime light, CheataH etc… NYer hype rap, standing in icy chilling weather, begging to fork over half a days wages at Wendeys or Party Cake just to hug the wall with a whole weeks wages worth of Drink was a nightmarish event. And Yeah, then my fellow young of Towners would look for me to lead and press up on ahhh all Sheleff and boooupps baby got back beauty. They would give me that look you know… you the kool city slicker New Yorker!!! Well… Okay another shot of TaQuilla.. Nothing to it for the “Mack of ..” Harlem… Those sitting down across or adjacent $5 min staring into beautiful women and mindful conversations… Come on now, of course the Young Eritrean Out of Towners Stepped Up!!! As They Shall for STEP UP To The Plate on ’17!!! Socrates is wrong. I will have you know my wife happens to be a good wife. It is I that is bad for both of us and reason for my being a pseudo philosopher. Dude, I am fair game. I ask you to kindly not ever insult my honorable wife. Louiville slugger home run derby at shae statldium , ino amin? I am really sorry man, didn’t mean to. I apologize. I was wrong in thinking you were a bachelors and you kind of led me with your response, which I followed with Socrates quotes. I am a married man for 22 Years now!!! Since 10/1/95… 23 years… Handrsa Fenji tSAtSE Catch 22, Catch010110… Ahhh Always have a card under the sleave. Izi, wedeHanka!!! the whole process of information gathering to draft and the source materials used or referred. Otherwise I think you are prejudging the author and book before it has even been out from the publisher house. Moreover, the criteria you had listed for writing a biography of a personality do not apply as sacrosanct preconditions. A writer could right can avail of or use information available sources could provide. Thoroughness or otherwise of the product is another issue. Thus, the only valid issue from your list of criteria is the fact that the facts should be correct and properly annotated. Here, I second brother Berhe’s take and would have liked you wait until the book is out instead of preempting it with prior judgement, which I do not think is fair. My understanding was Semere T has ALL the information about the guy in his underground and air conditioned storage room. Isun tegenzbe iko new aygebam lemalet tzbt yexafkut. It’s always joy for me to read you. Reading you as a biographer rather than admired essayist-polemicist (if I may use these terms) added excitement to my joy. Thus, I cannot process without congratulating you for your fulfilment of duty to the young generation and posterity. I must also add that it was very clever on your part to introduce the book before it reached the hands of the reader.This posting will certainly generate lively and useful in puts that would stimulate the urge and anticipation of readers. include me, who are thirsty for crucial information that help us in understanding and rationalizing our national identity that history and its movement (colonial intervention) was not so clement to let the social and economic evolution of territorial-demographic constituents that came to make up the Eritrean polity to transform in unimpeded environments without forceful impact by alien forces, as you have pertinently mentioned. come out with a book that will shed light on the life and role of one the patriotic leaders that played role in the evolvement of Eritrean people’s awareness of common national destiny and psyche that was challenged by outside forces and galvanized into a national movement that opted to go all the way, and pay all the cost, to determine common destiny in a nationhood. Given what you written in paragraph two about his contemporaries, I thought that the assertion that “No one has made such a profound, revolutionary contribution to the independence thought and action” is a contradiction in terms. Reading through the paragraphs proceeding from the one I mentioned, I found that to suggest that the late Wel Wel had exclusive role and impact on shaping the national awareness. The hypothetical question you have stated in the next paragraph appeared to warrant the perception I have just voiced. suggested regretting the history of Eritrea’s liberation war. I would surmise in advance that his thoughts fit more in the peace and tranquility post liberation nation building pursuit required rather than anything else. By way of concluding these rather tentative remarks allow me to pose a few questions some which are related to my recent readings on materials pertaining to Eritrean affairs. position on the split from the ELF. I am assuming you have heard or read about the information I am alluding to. Could he lived to regret his relation with Isayas and what he represented. Of course Isayas’ treatment of him is not very difficult to understand because we know his unfathomable passion for power and envy of anyone that appeared to overshadow him. 2. Could you find anything about why Wel Wel did not insist on precondition that he would not return to Eritrea leaving his comrades-in-struggle such as the late Ibrahim Sultan and Sheikh Idris Mohammed Adem behind?. His famous and eloquent “yzkereka do” tribute to Sheikh Ibrahim Sultan had rung in my ears like what this question purports. 3. Have you been aware of a conversation in 1970 between my late Professor of history at HSIU, Sven Rubenson, with Wel Wel at his residence in Cairo which was published in a Swedish paper “Om Varlden # 7, 1999, and quoted by Professor Negussay Ayele in the context of his long review of Ambassador Zewde Retta’s book “Ye Eretra Guday? Wel Wel was quoted as claiming to be Ethiopian by emphatically asserting: “’if I am not an Ethiopian, then who is?”’ rhetorical question. Coupled by description of him as Aksumite/Asmarino activist, those things could mean many things if proven right, especially the information provided by Professor Rubenson who was an accomplished historian of Ethiopian affairs. I look forward to read your book . No doubt that Atto wol,woldemariam are one of those who played a big role in the formation of the eritrean nationalism,specially in the formation of block of independence with the late Shiek Ibrahim Sultan and Shiek Abdulkader Kabere. Obviously such contrbiution in this critical moment of our struggle to defeat the dictatorship and build Democratic Eritrea, which i think was the dream of all our national struggel heros is of tremendios importance . As human being no one is safe from some sort of rumour. I hope yiur book well illuminate the contribution of Atto Wol.Wol. I have some questions regarding some of his ideology. 1-Is Atto Wol. Wol . was calling for “Tigray tigrene” ? 2- I have heard from some one who was a close knower of Atto Wol Wol. that during the attempt of Mungstu Naway to coup Hallesilase Atto Wol.Wol has packed suitcases to go back to Adis.My question is . Did Atto Wol .Wol. has any involvement i that attept to coup the Imperor. 3- In an interview with a Nerwegian redio or Tv. (I am not sure about the media) Atto Wol. Wol .announced that EPLF will stablish a christian state . ( this was before the Independence). I read this news atthat time in ELF (RC) bulletin. Are you suggesting that He was tricking his Muslim brothers? If so do we have any hint why ELF liquidated Haraka ? Don`t try to manuplate my ideas . I have raised some questions to verifay what i have heard about this legend figure in Eritrean history whither we liked him or not.So plz don`t try to penetrate my brian. I m a good follower of the awate forum .What i noticed is that there are some (like blink Semere Tesfai Geteab) who dedicate all thier effort to diviate the descussion from its direction .Plz restrian unnecessary maneuvers . No , come on ,It was not my intention too , I just pick in to that because you make it like( kusto eluni kab kusto semia) , when you make a comment here it means you are ready to reply or not .i am not up to semere Tesfai or Gheteb level. But I feel you are making heinous gossip about the man and you have to deal with another people’s perception to your comment.